Soft Cover, 224 pages, 6.9. 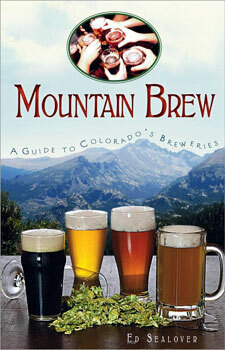 Colorado is the scene of a thriving culture of breweries. From Coors, America's largest single-site brewery, to Three Barrel Brewing Company, found in the back of an insurance office, each and every one holds a unique place in the state's brewing scene. For two years, author Ed Sealover traveled the state, speaking to more than one hundred brewers and learning what makes each place special, detailing their histories, quirks and signature beers. With profiles of breweries ranging from the world-renowned New Belgium Brewing Company to the Silverton Brewery, whose location is so isolated that its taproom shuts down six months out of the year, Mountain Brew: A Guide to Colorado's Breweries is a perfect companion for beer geeks and thirsty travelers.